Hawai‘i Volcanoes National Park invites the public to enjoy free guided hikes, “Coffee Talks” and Hawaiian cultural programs in its Kahuku Unit from October through December 2017. Visitors are welcome to explore Kahuku on their own on Fridays, Saturdays and Sundays, from 9 a.m. to 3 p.m.
For the upcoming holidays, the Kahuku Unit will be open for visitors on both Christmas Eve, Dec. 24, and New Year’s Eve, Dec. 31. No guided programs will be offered on these days. 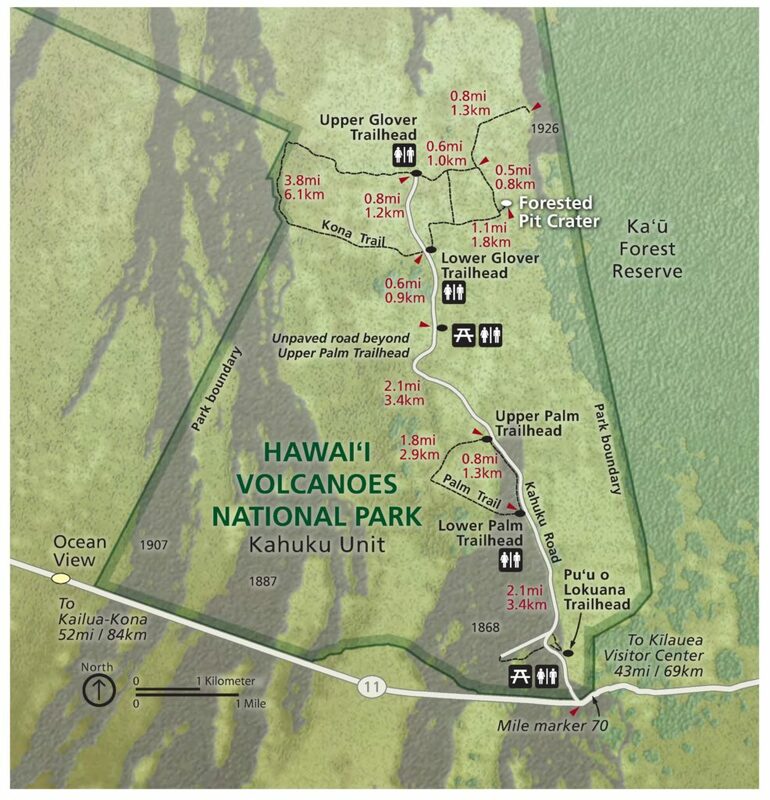 The Kahuku Unit of Hawai‘i Volcanoes National Park is accessible through the mauka (inland) side of Highway 11 near mile marker 70.5. Hiking participants should meet near the parking area and are advised to bring sturdy footwear, water, raingear, sun protection and a snack. Entrance fees and all programs are free. Keep up with Kahuku events by visiting the park calendar. Participate in ‘Ike Hana No‘eau (Experience the Skillful Work) Hawaiian cultural demonstrations at Kahuku on the third Friday of each month from 10 a.m. to noon, Oct. 20, Nov. 17, and Dec. 15. All programs are free. Get to know both your park and your neighbors during an informal “Coffee Talk” conversation spanning a wide variety of topics at Kahuku on the last Friday of most months (there is no Coffee Talk in November). Ka‘ū coffee, tea and pastries will be available for purchase. Coffee Talks will be offered free on Oct. 27 and Dec. 29, from 9:30 a.m. to 11 a.m.
Pu‘u o Lokuana is a short, half-mile hike to the top of the grassy cinder cone, Pu‘u o Lokuana. Learn about the formation and various uses of this hill over time and enjoy a breathtaking view of lower Ka‘ū. This hike is offered Oct. 1 and 28, and Nov. 5 from 9:30 a.m. to 11 a.m.
Palm Trail is a moderately difficult 2.6-mile loop traversing scenic pastures along an ancient cinder cone, featuring some of the best panoramic views Kahuku has to offer. Highlights include relics of the ranching era, sections of remnant native forest and amazing volcanic features from the 1868 eruptive fissures. A guided hike of Palm Trail will be offered Oct. 7 and 22, Nov. 26, and Dec. 3 and 23, from 9:30 a.m. to 12:30 p.m.
‘Ōhi‘a Lehua. 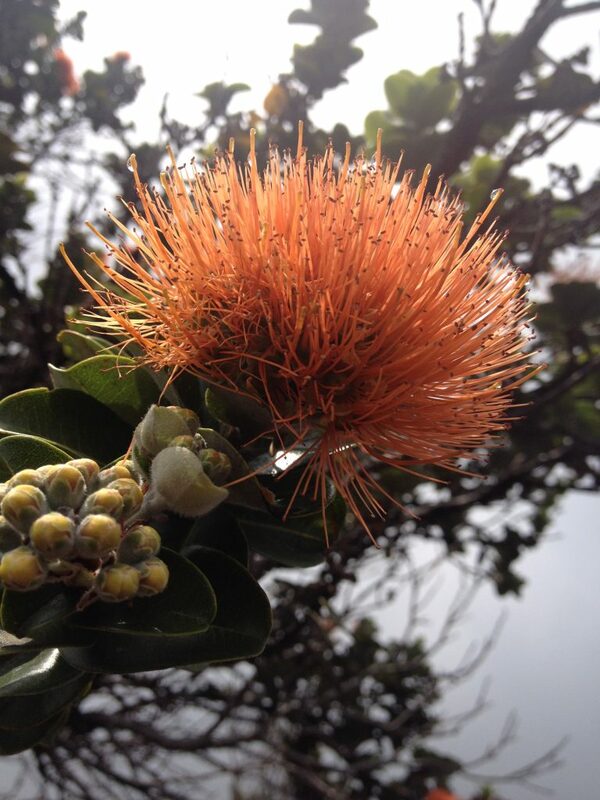 Learn about the vital role of ‘ōhi‘a lehua in native Hawaiian forests, the many forms of the ‘ōhi‘a tree, and the new disease of Rapid ‘Ōhi‘a Death. Visitors will be able to identify the many differences of the most prominent native tree in Kahuku during an easy, one-mile (or less) walk. The ‘Ōhi‘a Lehua program is offered Oct. 9, Nov. 12, and Dec. 10, from 9:30 to 11 a.m. Birth of Kahuku. Explore the rich geologic history of Kahuku. Traverse the vast 1868 lava flow, see different volcano features and formations, and identify many parts of the Southwest Rift Zone of Mauna Loa. 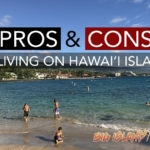 Learn about the Hawaiian hotspot and the creation of Kahuku. This guided easy-to-moderate hike will be offered on Oct. 14, Nov. 4, and Dec. 9 and 30, from 9:30 to 11:30 a.m.
People and Land of Kahuku is a moderate two-mile, three-hour guided hike that loops through varied landscapes to explore the human history of Kahuku. 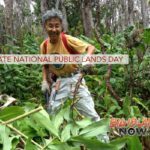 Emerging native forests, pastures, lava fields, and other sites hold clues about ways people have lived and worked on the vast Kahuku lands–from the earliest Hawaiians, through generations of ranching families, to the current staff and volunteers of Hawai‘i Volcanoes National Park. Learn about the powerful natural forces at work here and how people have adapted to, shaped, and restored this land. The guided hike will be offered on Oct. 15, Nov. 19, and Dec. 17, from 9:30 a.m. to 12:30 p.m.
Kahuku ‘Ohana Day. Families are invited for a day of fun, culture and discovery at the Kahuku Unit. Learn about the hidden powers that plants possess to keep us healthy through the teachings of Aunty Ka‘ohu Monfort, a practitioner of lā‘au lapa‘au (Hawaiian herbal medicine). Collect seeds from native plants and help park rangers bring new life to Kahuku. Kids 17 and under and their families must sign up by Oct. 13 by calling (808) 985-6019. Bring water, lunch and snacks, sunscreen, hats, long pants, shoes and reusable water bottles. Kahuku ‘Ohana Day will be held Saturday, Oct. 21, from 10 a.m. to 2 p.m. Nature & Culture: An Unseverable Relationship (He Pilina Wehena ‘Ole). Hike the Palm Trail and be inspired by a place where hulihia (catastrophic change) and kulia (restoration) can be observed as the land transitions from the 1868 lava flow and its pioneer plants, to deeper soil with more diverse and older flora. Learn about native plants and their significance in Hawaiian culture. This moderate hike is about two miles and takes two hours. The program will be offered Oct. 21 and Nov. 25 from 9:30 to 11:30 a.m. Realms and Divisions of Kahuku. Experience the sense of place that evolves at the intersection of nature and culture on this moderately difficult two-mile, two-hour guided hike on the Kahuku Unit’s newest trail, Pu‘u Kahuku. Explore the realms and divisions of the traditional Hawaiian classification system at Kahuku. Bring a snack for the “talk story” segment of this hike. Offered Oct. 29, Nov. 11, and Dec. 16 from 9:30 to 11:30 a.m.
Hi‘iaka & Pele. Discover two fascinating Hawaiian goddesses, sisters Pelehonuamea (Pele) and Hi‘iaka, and the natural phenomena they represent. Visitors will experience the sisters coming alive through the epic stories depicted in the natural landscape of Kahuku on this easy, 1.7-mile walk on the main road in Kahuku. The Hi‘iaka and Pele program will be offered Nov. 18 and Dec. 2 from 9:30 to 11:30 a.m.